I have had many food obsessions; Tootsie Rolls and Nerds in my formative years, frozen peas, popsicles (especially the ones with jokes on the stick) circa summer 2005, a pumpkin craving each fall, a lingering burrito fixation and since 1996 (when the Seinfeld episode “The Calzone” first aired) a fondness of hand held foods. Foods that are their own wrappers and containers. What could be more earth friendly – or delicious? 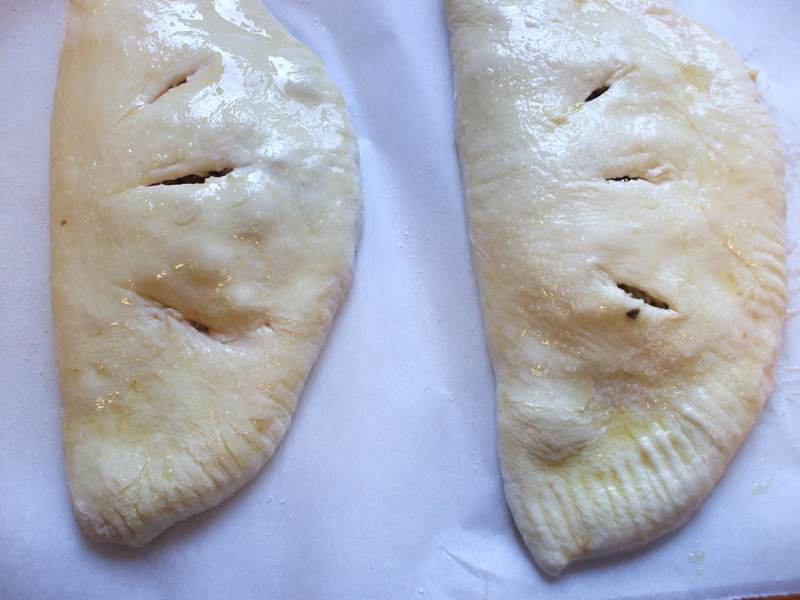 This recipe uses the dough described below, which can also be used to make pizza, stromboli or an inauthentic but still quite delicious, empanada. For all the fear and trepidation a recipe for bread may bring, working with dough is a decidedly relaxing experience, especially when the dough in question requires no kneading and the usual time consuming rising period is done wholly in a refrigerator (as is the case for this recipe) or warm closet. 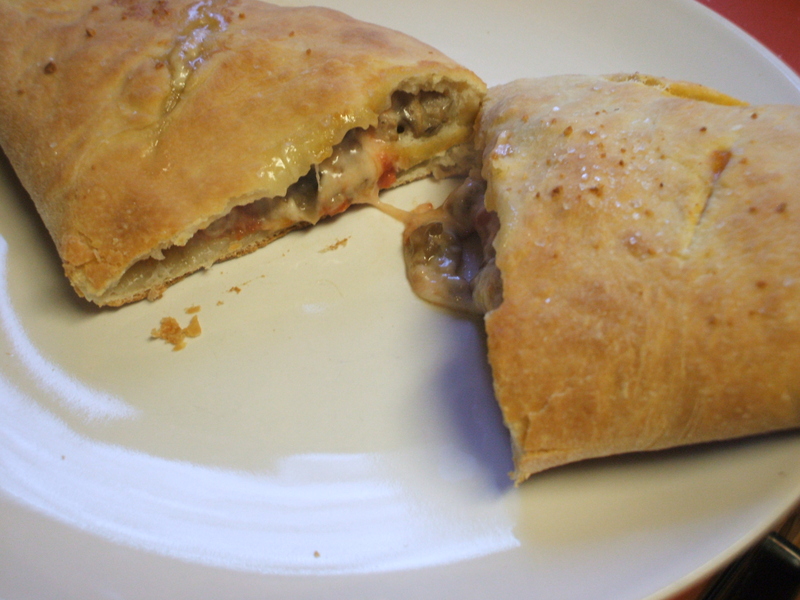 This dough is cool and soft, with a resilient bounce when pressed. 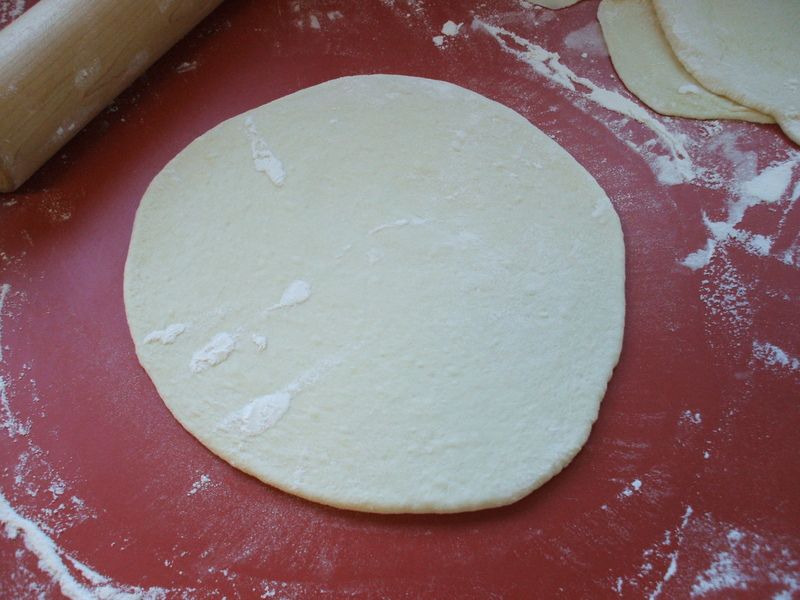 Once the dough is divided into four balls and allowed to rest, simply roll out to the desired size with a rolling pin and plenty of flour. No need for fancy shaping techniques.